JFH News: Travis Greene Receives 4 Stellar Awards, Including "Artist of the Year"
LOS ANGELES, CA (March 26, 2018)--RCA Inspiration and chart-topping gospel artist Travis Greene was awarded four Stellar Awards for the 2018 ceremony that took place this past Saturday, March 24 for his current album, CROSSOVER: LIVE FROM MUSIC CITY.” The gospel artist took home the honors for “Artist of the Year,” “Male Vocalist of the Year,” “Contemporary Male Vocalist of the Year” and “Producer of the Year,” adding to his previous seven Stellar Awards for a total of 11 career Stellar wins. 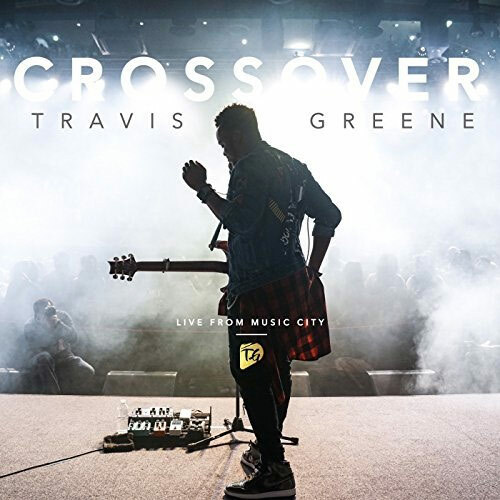 The also three-time GRAMMY®, NAACP and Soul Train nominated artist, Travis Greene will be embarking on additional tour dates and cities for the culture shifting Crossover Live Tour. After a sold-out first leg on his much-anticipated Crossover Live Tour earlier in the year, Travis kicked off the Crossover Live Tour Vol. 2 on March 2 in Memphis, Tennesse, at the Memphis Grizzles Gospel Night. He continues to bring alive the musical experience throughout the U.S, with this tour making stops in Phoenix, Los Angeles, Dallas, Houston, Birmingham, Jacksonville, Orlando, and Tampa. In conjunction with the U.S. Crossover Live Tour Vol. 2, Travis will also engage fans internationally across the Caribbean. The Crossover Live From The Caribbean Tour will begin on April 2 in Jamaica and make stops in Antigua, Trinidad, Barbados and Grenada. During the Crossover Live Tour, Travis also recently welcomed guest appearances from Israel Houghton, J.J. Hairston, and Kierra Sheard. Also a global worshipper and pastor of Forward City Church, Travis introduces his #engageculture, movement in conjunction with the release of CROSSOVER: LIVE FROM MUSIC CITY. Using his influential platform, Travis leads a call to action by challenging fans to be the change they want to see, in which he seeks to redefine culture for God. Growing up with a mother who was a minister and choir director, Travis says that music was like the oxygen in his childhood home, and was something that played a huge part in keeping him off the streets, away from the drugs and gangs, which were prevalent in his community. Travis continues to bring his cultural boundary crossing music globally to many countries outside the U.S., including Nigeria and Ghana; the Caribbean islands of Trinidad and Tobago, and Jamaica; Dubai; and to London, Montreal and Toronto.